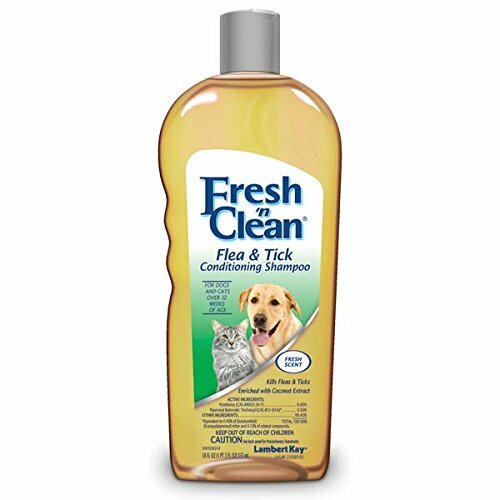 To identify the best flea shampoo for cats, I’ve researched the insecticides most commonly found in flea shampoos, evaluating toxicity information from OEHNA’s chemical database, EPA pesticide risk assessments, and referring to the veterinary product database on Drugs.com. Like most other flea treatment products, flea shampoos are notorious for their apparent connection to serious and sometimes fatal reactions. Between the fearmongering and overly-optimistic assessments of potentially toxic insecticides, it can be difficult to identify which products are a good choice. In this article, you’ll learn about the insecticides used in flea shampoo, which ones are safe, which ones might hurt your cat, and how to choose a good product. Is flea shampoo safe for cats? The only truly safe flea shampoo is mild dish soap. Every insecticide or essential oil-based flea shampoo has been associated with some kind of negative reaction. Yes, some products are safer than others, and yes, many people have used them without problems. But there’s always a risk. If you do choose to take that risk, here’s how to make an intelligent decision. Never treat your cat with a flea shampoo made for dogs. Because they groom themselves and are unable to process toxins the way that some other animals can, cats need a special non-toxic flea shampoo. Always choose a flea shampoo explicitly made and marketed for cats. Even if you use a product made and sold for cats only, you need to be careful to choose a product featuring cat-safe insecticides. Insecticide safety isn’t as clearly defined and regulated as you might imagine. Some chemicals are believed safe for years before a respected entity starts putting together the pieces and recognizes that they’re not nearly as safe as was assumed. All insecticides are made to kill, and though we rely on them only killing insects instead of our pets, there is always the risk of toxicity. That’s why it’s important to be knowledgeable about the poisons used in your flea shampoo. Is flea shampoo safe for kittens? Not only most flea shampoo, but most flea treatments, are unsafe for kittens under 12 weeks old. If you have a very young kitten with fleas, it’s better to go with flea combing, bathing with a gentle dish soap, and environmental treatment. It’s essential that you familiarize yourself with the insecticides used in flea shampoo and can differentiate between safe products and those that could hurt your cat. Here are a few of the most common flea shampoo ingredients. Pyrethrin insecticides are adulticides, so they only kill the adult fleas living on your cat’s body. They don’t do anything to prevent eggs from hatching and while they can ease your cat’s itching and help you to get the infestation under control, adulticides will not end an infestation. Pyrethrins are naturally derived from the Chrysanthemum cinerariaefolium plant and other pyrethrum-related plant species. It’s important to distinguish pyrethrins from their synthetic counterparts, pyrethroids, a category that includes the infamous chemical permethrin. You’ll often hear people fearmongering about “pyrethrins and permethrins” as if the two are equally dangerous to cats. While synthetic pyrethroids are toxic to cats, pyrethrins appear to be safe as long as they’re applied correctly and in the appropriate concentration. Overdosing, ingesting, or inhaling pyrethrin chemicals could cause signs of toxicity. This insecticide is an insect growth regulator or IGR. While adulticides only kill adult fleas, IGRs prevent the infestation from spreading. Known as a juvenile hormone analog, S-methoprene mimics an insect’s hormones and prevents fleas from producing eggs of their own. This curbs the growth of the infestation. Like S-methoprene, pyriproxyfen is an insect growth regulator. It kills flea larvae and prevents new eggs from developing. Research on its safety and toxicity is limited. EPA testing on rodents showed, among other side effects, decreased body weight and toxicity in the tested animals’ offspring. While this chemical is generally considered safe, such results are concerning. You’d be justified in avoiding this insecticide. Neither piperonyl butoxide or n-octyl cycloheptene dicarboximide are not insecticides. Instead, they’re synergists that help the active insecticides to work effectively. In addition to insecticides, cat flea shampoos usually contain some inactive ingredients to improve the consistency, color, scent, and feel of the product. These are usually safe, but it’s important to read the label to check for anything that your cat is allergic or sensitive to. Here’s the short story on so-called natural flea shampoos—they don’t work consistently and they could hurt your cat. They’re typically made from essential oils, which can be helpful when used on other animals, including dogs, but can make your cat very sick. Essential oils are primarily composed of hydrocarbons and terpenoids. Cats are deficient in glucuronidase, an enzyme that allows the liver to filter out these potential toxins. 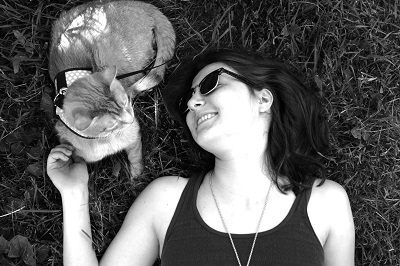 Click to Read: What’s the Best Flea Collar for Cats? Without this enzyme working to process the terpenoids absorbed by the body, they’ll start to build up and could make your cat sick. Some argue that high-quality, pure essential oils are safe for cats, but it’s incredibly difficult to determine which oils are pure and which ones aren’t. Because the formulation has the best safety record of all products on the market, every flea shampoo on this list is fundamentally the same. They’re all pyrethrin-based shampoos varying only in concentration, labeling, and added inactive ingredients. 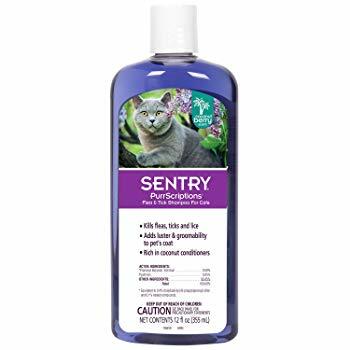 Sentry Purrscriptions flea shampoo is made with 0.50% piperonyl butoxide and 0.05% pyrethrins, so it’s a relatively mild formula. It has a coconut berry scent and is enhanced with coconut conditioners to soothe the skin and improve the coat. Customer reviews are mixed. On Amazon, the shampoo has 56 reviews and an overall star rating of 3.6 out of 5 stars. Of the 19% of reviewers who gave it the lowest star rating, not one described a negative reaction to the insecticide. With 0.05% pyrethrins and 0.50% piperonyl butoxide, this treatment has a relatively low insecticide concentration, making it slightly safer than other products. In addition to these active ingredients, the shampoo contains coconut conditioners to improve skin and coat health. On Amazon, this Zodiac shampoo has 141 reviews and a 4.0 out of 5-star rating. 16% of reviews have one-star ratings. Most unhappy customers aren’t complaining about negative side effects—they say that the shampoo didn’t work, came in a leaky bottle, or smelled sickeningly sweet. Two of them, however, said that the product poisoned their cats, but didn’t go into the details. This pyrethrin-based conditioning shampoo is formulated for small pets. It’s made with 0.05% pyrethrins and 0.50% piperonyl butoxide as an insecticide synergist. These concentrations are relatively low, which makes the product both slightly safer and slightly less effective than others on the market. It’s enriched with coconut extract, which may help to condition the coat. On Amazon, this shampoo has 62 customer reviews and a 3.6 out of 5-star rating. While most reviews are neutral or positive, one said that their cat had a “terrible” near-fatal reaction to the product. Though it’s made from the same active ingredients, this flea shampoo is slightly more concentrated than the others on this list, with 0.15% pyrethrins and 0.33% piperonyl butoxide. As one of the leading brands in flea treatment, this Bayer Advantage shampoo has a relatively good reputation. On Amazon, the shampoo has 65 customer reviews and a 4.0 out of 5-star rating. Two reviewers said that the shampoo made their kittens sick, but most had neutral or positive experiences. Need more help? Check out our complete guide to eradicating a flea infestation.